The Global Small Business Blog: Pretty Pittsburgh! I had the great honor of giving a presentation on "Go Global!" to Seton Hill University's E-Magnify's women business center on September 26th. 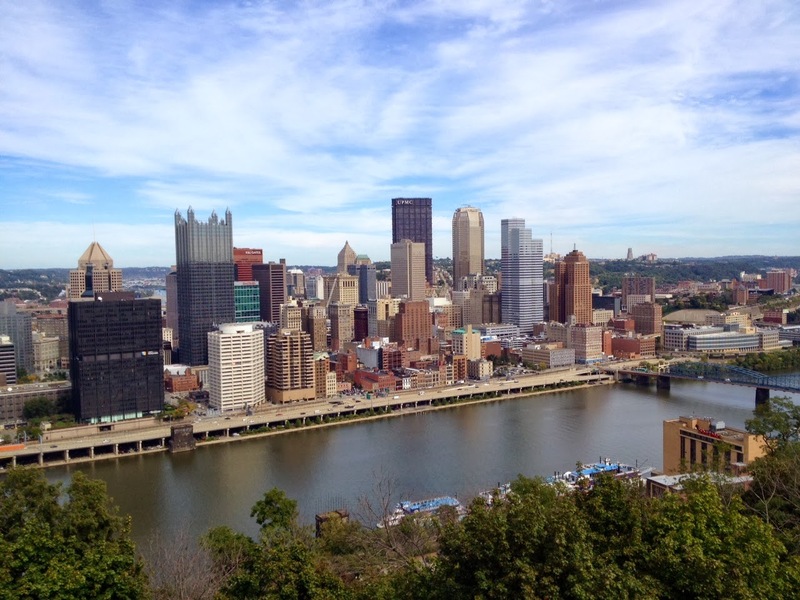 What a magnificent city Pittsburgh is. I took this photo en route from the airport to the university. I'll definitely be returning soon. It's a gem of a place. Meanwhile, watch for the announcement of my new exporting book on Monday, September 30th! And don't forget to sign up for tips (email address) and pre-order through Amazon, Barnes & Noble or Apress! Thanks!